FCAL's Quarterly magazine, the Spectrum. The Flagler County Art League is a 501c3 Non Profit organization. Our mission is to promote the arts and create an environment for artists to develop, collaborate and showcase their work. Thank you Palm Coast & Flagler County for helping us perpetuate the Arts and Culture in our community for 40 years. We love this community and we hope to see you at our gallery shows every month, our art classes and workshops every week and special fundraising events in the future. With your continued support we are ready for another 40 years. From all of us here at Flagler County Art League, thank you! Find out about our organization, mission, and the results of our decades of advocacy towards perpetuating the Arts & Culture in Palm Coast, Florida. Ready to take the next step? You can become a contributor to our cause, a sponsor of our gallery shows, a volunteer or a member of our organization. 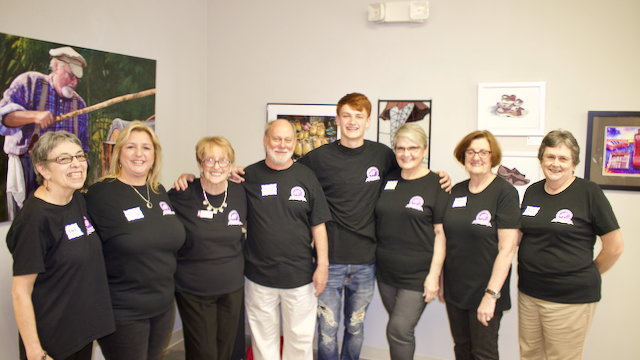 Stay up to date with what's happening at Flagler County Art League. Find out about upcoming gallery shows to new workshops, classes, and special anniversary events.